President Donald Trump’s staunch defense of his own mental acuity this weekend all but ensured the questions mounting about his fitness will increase in the coming week, which is set to culminate Friday with his first known medical exam since taking office. Of course, that “staunch defense” came after accusations which appeared in media outlets, who ran with them without any sort of, you know, proof. And, really, go back to accusations when he started running. 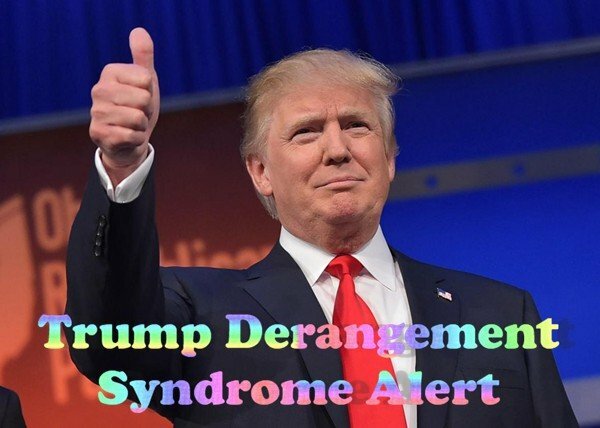 Coming amid a previously-unheard-of debate over the mental capacity of the country’s oldest president at the time of his first election, the yearly presidential physical has attracted renewed attention from a capital now consumed with Trump’s mental health. But there is little to indicate the checkup will provide much clarity about the state of Trump’s mind. Anyone remember how the media worried about Obama’s mental health, considering all the drugs he admitted to doing when younger? On Friday, Trump is due at the Walter Reed National Military Medical Center in Maryland for a medical exam conducted by the White House physician, Dr. Ronny Jackson, who performed President Barack Obama’s last several physicals while he was in office. The White House has said it will provide a readout of the exam once it’s complete. But any hopes that the publicly released information will shed light on Trump’s mental state appear largely misplaced. A review of the past five presidents’ physical exams show only brief mentions of mental health, and none provide a readout of mental health tests. So, this isn’t taking place for 5 days? Oh, right, this gives CNN five days to continue a Narrative. Democrats should just get over it. Trump won fair and square. The rules of presidential elections were known. Laid out. Right there. Stop being petulant children who didn’t get a cookie and need their diapers changed. BTW, remember how this same media circled the wagons around Hillary’s health, with things like not being able to walk up stairs without help, unusual pauses during appearances, and fainting?